I have a scenario where I need rotate a vector ( unit vector) at a point in space by an angle along Z-axis. Is it possible to help me to understand a procedure to achieve this. I'm using vb.net programming to do this programattically. Rotation matrix | wikipedia.org in section that says "in three dimensions". It's the first search result when searching about rotating a vector about an axis. Let me know if you have any questions. For your specific problem: bring the point P to the origin, then rotate the vector about the Z axis, then bring the point P back to its original location. Thank you for the suggestions provided. As @gallickgunner mentioned, I shall rephrase the question will all the possible information which I could provide. I had attached also the schematic to depict my question. 1)I need to rotate the vector V with the base point P by an angle and find the new vector V'. 2) The rotation axis is say for is about a local y axis at point P (which is parallel to global Y axis) 3) Subsequently, I need to rotate the initial vector V about x axis which is parallel to global Y axis. 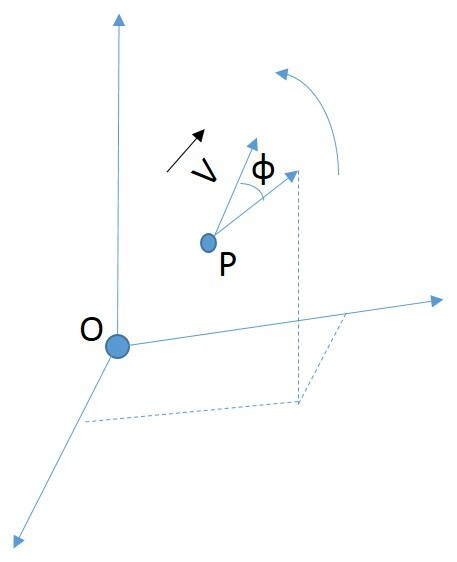 The main reason for the rotation is to find the new vector V' at point P. Both the rotations are independent and each of the rotation provides a new V'. Thank you for the support. Looking forward for an answer at the earliest. 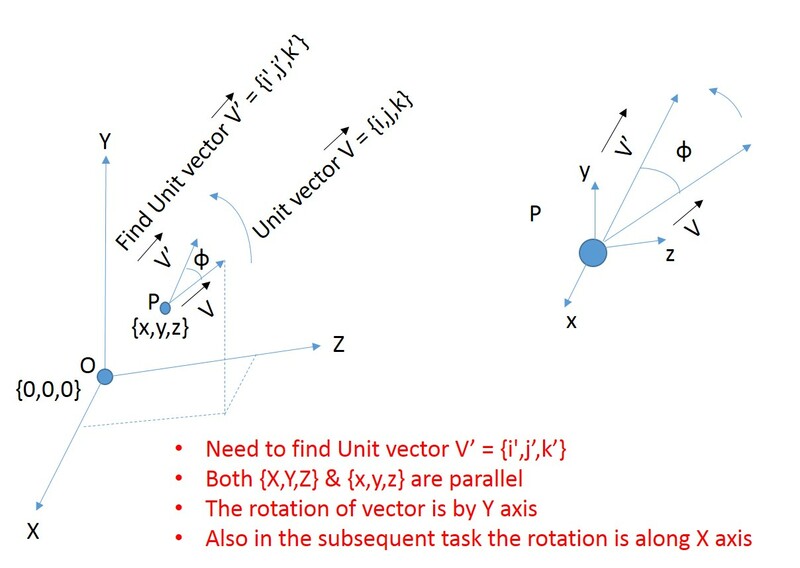 One other solution is to identify the vector's endpoint with respect to the point P. Then, rotate the endpoint as desired and recompute the new vector based on the rotated endpoint and the point P.
Not the answer you're looking for? Browse other questions tagged transformations computational-geometry matrix vectors or ask your own question. How to project a 3D point onto a plane along another (axis) vector?